More Showrooms in Bremen, Hamburg, Kiel und Wien! 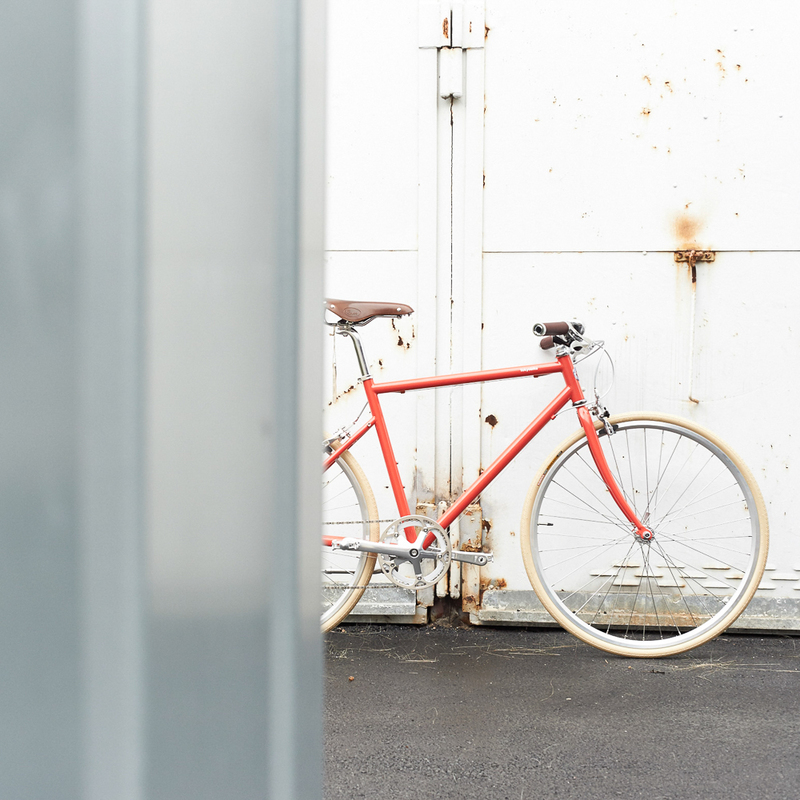 Product designer Ichiro Kanai founded Tokyobike about 15 years ago in Yanaka, a traditional suburb of Tokyo. His design for the perfect city bike was so well-accepted that he immediately turned it into a series. A key characteristic that sets these apart from other bicycles is their slender body, which allows for better acceleration, especially in stop-and-go traffic. The slim steel frames are similarly light and enable uncomplicated movement. And, of course, the gaudy colours available to choose from are pretty great. That is, when they’re not out of stock – Tokyobikes are in high demand. Along with the three shops in Tokyo, the company has posts in metropoles like Sydney, Singapore, London, Milan, and New York. Berlin couldn't be left out either. In 2012 Holger Schwarz, who discovered the bikes during this time as an architect in London, opened a showroom in Kreuzberg, from which business throughout Germany and Austria is conducted. The bikes can be viewed amongst modern sixties architecture between Prinzenstraße and Moritzplatz, as well as in smaller branches in Vienna, Hamburg, Bremen, and even Kiel. There are three models for men and a modified model for women and kids, all characterised by the same timeless, slim build. There are minor differences in some of the details, like colour, tire rims, and the seat. They can also be pimped out in person or online with handpicked, shapely accessories. From protective covers to carrying bags, from bells to the practical Lucetta light, you'll find everything. Most of the models currently have a 7-9 gear shift.